Many people are making a living from affiliate marketing. I am one of them. 70% of my current income comes from affiliate marketing and I’m always working to increase that percentage. 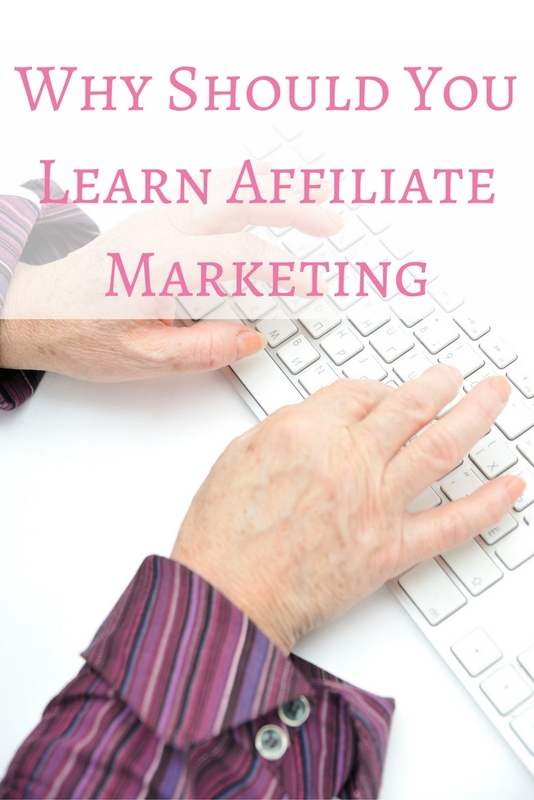 If you want to make money from home, learn affiliate marketing online. With a little bit of hard work upfront you can have a nice stream of passive income. Want to start right away? Try the Affiliate Marketing Masterclass! As with any method of making money online, there are cons and pros. In my opinion the pros outweigh the cons in affiliate marketing. Here are some pros as to why you should be including affiliate marketing in your online business. Low or no start up costs. All you really need to begin affiliate marketing is a website. You don’t necessarily have to set up a new website. You can use relevant affiliate programs to optimize your income from websites you already have. Affiliate marketing is easy to incorporate in an existing website or blog. No need to become an expert copywriter. Many of the tools you need will be provided for you. Most affiliate programs provide you with tools to promote their products with, such as banner ads, text ads, emails promos, articles, sales copy, and blog posts. Low overhead. By promoting someone else’s product, rather than creating your own, you have no inventory to look after, no orders to process and no customer service to provide. Passive income. This is my favorite part. This means you stop trading hours for dollars. You can review a product once, place the review on your website and that review can potentially make you money over and over again. This is passive income and affiliate marketing is one of the best businesses to get into for anyone who likes the idea of passive income. Affiliate marketing offers many benefits and one of the best parts is that you can fit it into just about any niche. If your passion is country music for example, you can create an affiliate website about country singers in the Grand Ole Opry. You can then earn money promoting products from those country singers. There’s something very appealing about making money doing something you’re passionate about. Do you want to start making money with affiliate marketing? Check out this blogging and affiliate marketing course for beginners. where you’ll learn how you can start making money online by promoting other people’s products. Courtney Chowning is a Christian entrepreneur, business coach, and webs designer who loves helping people make money online. Do you have trouble researching new niche markets? It doesn’t have to be difficult: you just need to apply a little common sense and a few practical tips. Forums and Discussion Boards – These are great sources for finding out what people want and need. Read through a forum related to your topic and see what people are discussing. Look particularly at what problems and issues they may be having. You can even join in and ask questions to learn more about your market. It’s important that you read the rules of each individual forum and apply proper forum etiquette to avoid being banned. If in doubt, just remember the basic rules of etiquette: don’t take more than you give, be polite and courteous to all members, don’t use someone else’s space as your advertising medium, and just be nice. Amazon.com – I highly recommend this website as a good starting point for research. Take a look at all the different categories on Amazon – do you see your potential niche listed? Look through the books and products for each niche and take a few minutes to read the customer feedback and reviews. Amazon is a fantastic source of knowledge and spending just a few minutes there can provide many answers about your potential niche market. Ezinearticles.com – This is another great website for getting to grips with different niche markets. You’ll find a number of niche markets to choose from. Take time to look through the different author websites to get an idea of what products or services they’re promoting. Magazines – Magazines are great for market research. If a magazine is on the stand it means it’s being funded by advertisers. And we all know businesses don’t continually advertise unless they’re making money. Take a look through the advertising section in your niche magazines. What products are on offer? How are they being promoted. This will give you a good idea for the viability of your potential niche. Take a poll – If you already have a website and/or subscriber base you’re one step ahead of the game because you can directly ask your readers and visitors what it is they want to see. People are always happy to provide feedback so don’t miss this opportunity for tapping into potential further products and services for your market. Do you use any other methods to research niche markets? Please share your thoughts. Affiliate marketing is an Internet-based marketing system in which merchants reward affiliates for each visitor or customer that comes to the merchant website as a result of the affiliate’s marketing efforts. Affiliate marketing is considered one the best ways to make money online (read an amazing success story here), and affiliates can be rewarded in a number of different ways: cash, gifts, coupons and discounted merchandise are just a few of them. Of course, most prefer cash, but other incentives are nice too. Pay Per Sale – Every time a sale is made as a result of advertising on the affiliate’s website, a percentage or commission is deposited into the affiliate’s account or paid directly to them through online payment methods such as PayPal®. Pay Per Click – Every time a potential customer leaves the affiliate website by clicking on a banner or text link that leads to the merchant’s website, a certain amount of money is deposited in the affiliate’s account. Pay Per Lead – Every time a potential customer registers at the merchant’s website as a result of an advertisement on the affiliate’s account, the merchant deposits a set amount into the affiliate’s account. For many website owners this is a great way to earn some extra money without actually having their own product. This type of marketing is also beneficial to the merchant. By placing affiliate marketing advertising on websites all over the Internet, the merchant gets free advertising and does not need to do as much marketing. The more websites with which a merchant is affiliated, the more exposure products get. Of course, most merchants and affiliates have a pleasant and profitable business arrangement, but research is an important first step. Another important aspect that an affiliate should consider is the placement of the affiliate links, and /or banners. It’s important to choose placement wisely: just slapping a banner on your page will not help you in most cases, but weaving links to affiliate offers in your content usually works well. One of the best guides I’ve come around that teaches affiliate marketing is the Super Affiliate Handbook by Rosalind Gardner. Have you read it? Implemented it? What kind of success did you have with it? I’d love to hear about your affilaite marketing success. Not too long ago, Lynn Terry invited Rosalind Gardner to her weekly webinar. The room was packed, and the information Rosalind shared was amazing. But what impressed me the most was how much the Super Affiliate Handbook helped Lynn in her business. So, I decided to ask Lynn a few questions about her experience with Rosalind’s teachings. My Question: Since we are talking about the Super Affiliate Handbook, what is a super affiliate? And if I am not a super affiliate, does that mean I won’t be able to benefit from Rosalind’s eBook? Lynn’s Answer: This is a great question. There is not a standard definition for “super affiliate” and a lot of people define it differently. Some will tell you that super affiliate status is based on specific income numbers, such as minimum $10,000/month. Others will have different ways to qualify the term, such as how long you’ve been an active profitable affiliate marketer. Once you start showing up on the leaderboards for your merchants, which are the Top 10 or Top 20 affiliates in terms of traffic or sales, you can pretty much consider yourself a Super Affiliate. Many merchants offer contests and prizes to top sellers, so it’s a nice position to be in. The affiliate prizes can get quite nice – from electronics to cruises, even! In any affiliate program, it’s the Top 1% that make the majority of the sales. Those are the Super Affiliates. To answer your second question, no – you don’t need to be a super affiliate to benefit from Rosalind Gardner’s super affiliate handbook. In fact, it’s very newbie friendly and one of the absolute best places to start if you’re interested in affiliate marketing. My Question: I know you’ve owned the Super Affiliate Handbook since it first came out. How has it benefited your business? And are you still using the methods you learned from it? Lynn’s Answer: It made a dramatic difference in my business. And yes, I am still using Rosalind’s methods on a regular basis. It’s probably the one guide that really stuck with me more than anything else. The major difference it made was in helping me go from an active business model (get paid for what you do, or trading time for dollars) to creating a passive income model. Meaning set up the site, and then it starts working for YOU. I make affiliate sales while I’m asleep, away for 2 weeks on vacation, out to lunch, etc. THAT is a great business model! I’ve continued to use her methods, and duplicate the processes, to the point of having thousands and thousands of web pages on the web across a wide variety of niches. That didn’t happen overnight of course, but something I’ve been building on strategically for the last 6 years. I was making money with her model in the first few weeks though. My Question: Can you give me one specific tip that you got from the Super Affiliate Handbook which made a difference in your pocket? Lynn’s Answer: I think the biggest thing I got from Rosalind Gardner was that affiliate marketing is a business model. I had always looked at it as easy money on the side, in addition to other things I was doing, but she really showed me the other side of it. Another thing I picked up from her guide was that merchants and affiliate managers are people. They’re in business to make money just like I am – and they’re open to feedback & negotiation. That alone has made a big difference over the years. I no longer just accept a decline notice from an affiliate application – I contact the affiliate manager and ask for reconsideration. I also don’t hesitate to ask for coupon codes, interviews, or whatever else I might need to sell more product for them. My Question: Would you still recommend Super Affiliate Handbook today? Why? Lynn’s Answer: Absolutely. The number one reason is because she continues to update it, so you’re always getting fresh relevant information no matter when you download it. You’ll get the updates as well, just log in and download the new version. It’s hard to find a publisher that goes to that length to keep her readers informed and active. Thank you Lynn for your candor. And way to take action! For those who are reading this now, what are you waiting for? Get your own success story right now by checking out the Super Affiliate Handbook.